People might think that to become a Freemason is quite difficult. You do not have to wait to be invited. The essential qualification for admission is that you have a belief in a Supreme Being. All religions are welcome and respected. 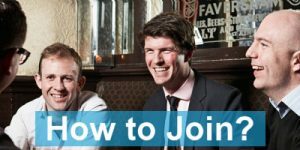 After reading the information on this website, if you are still interested in becoming a Freemason, we advise that you first talk to a family member, friend or colleague whom you already know to be a member. They will be able to explain to you what they can about the fraternity and help you find a suitable Lodge. If you don’t know anyone at all who is a member, then please contact us. 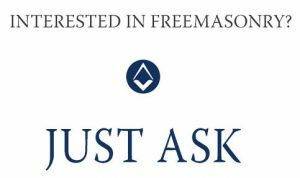 Answer any further questions you may have about Freemasonry. Discuss the procedure of joining a suitable Lodge. Every Freemason has his own reason for joining. For many, Freemasonry acts as a ‘constant’, providing them with a unique combination of friendship, belonging and structure, with many Freemasons saying they have made valuable lifelong friendships. Achievement – progressing through the offices in the Lodge to become Master. Education – learning from peers and mentors by practicing and making speeches. Self improvement – making a contribution to your family, society and local community. You don’t have to be well-off to become a Freemason. It costs less than you may think and is comparable to other organisations. It is usual to have a meal after the meeting; the cost of this can be either add to the annual subscription or paid for separately at the time.